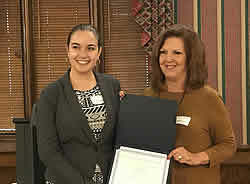 2018 PMA Scholarship Recipient, Claire Simpson (left), accepts her certificate from PMA Chair, Daria Schwartz. 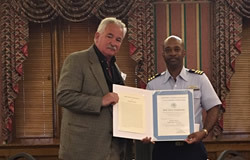 CDR Leon McClain (left) accepts his service award from WAP President, Patrick Kelly. 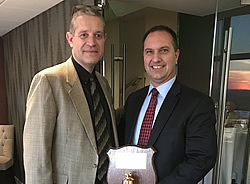 WAP President, Patrick Kelly presents Past President, Dan Lacek with his service award. 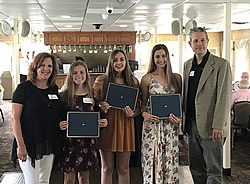 2018 PMA Scholarship Recipients (Paige Colicchie, Jaime Handra and Samantha Rock) were recognized at the Waterways July Membership Luncheon by Daria Schwartz (left) and Patrick Kelly (right). Bill Porter of Ingram Barge Company (right) presents Deane Orr (left) his Certificate of Lifetime Membership. 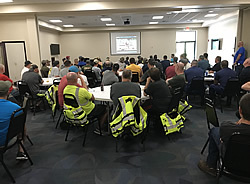 Daria Schwartz of Ingram Barge recognizes the 2016 Scholarship Recipients. 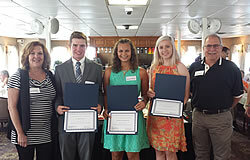 2016 Scholarship Recipients Receive Certificates at the July WAP Membership Luncheon aboard the Gateway Clipper's Princess. 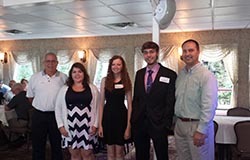 (Left to Right) Daria Schwartz, PMA President; Justin Pellis, Scholarship Recipient; Marisol Lambermont, Scholarship Recipient; Abbie Siecinski, Scholarship Recipient; and Bill Porter, PMA Scholarship Committee Chair. Mary Ann Bucci, Port of Pittsburgh, (right) recognizes departing Coast Guard member CDR Patrick Burkett for his tenure in the Pittsburgh region. 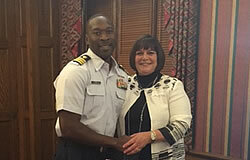 CDR Burkett has accepted a position in Jacksonville, Florida. 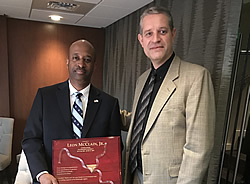 Richard Riley of Marion Hill Associates (left) was presented a Public Service Commendation for his long standing contributions to the Pittsburgh region by CDR Leon McClain (right). (Left to Right) William Porter (Scholarship Committee Member), Hannah Kozich, Karalee Flohr, Connor Simpson, Daniel Lacek (WAP President).